Have 210g with dual overflows. 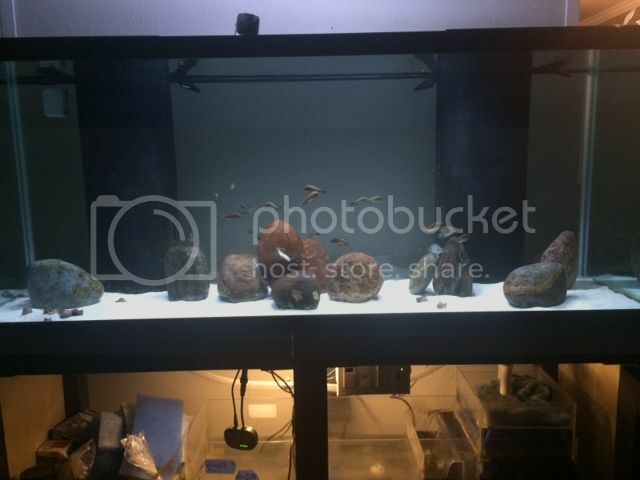 (2 towers inside back of tank). Bottom drilled. Have ball valves on the plumbing to try to control flow and NOISE. I am still getting the toilet noise from the plumbing !!! Sometimes I get is dialed in correctly and it is nice and quiet but as soon as I do a water change,,,, it starts all over. I have ordered PVC gate valves to replumb the drains. I need suggestions and photos if possible on how this should be plumbed to get it to be QUIET !! When it is dialed in it is awesome, but I do not believe that it should be this complicated. I feel that I'm missing something. One on each end. They are both piped to drain to one side (external underside of tank) due to inlet of sump. So there is a short run and a long run. The pipe with the shortest amount of run needs to be half the height in the overflow box compared to the pipe with the longest run in the other overflow box. The short run needs to have the gate valve and the long run is your emergency, the short pipe terminates below the water line in the sump to create full siphon. The short run pipe is the drain that needs to be dialed in using the gate valve. The long run pipe has two options; fully dry emergency, or wet dry emergency where the water clings to the sides of the emergency keeping it silent. Personally, I prefer dry. Have it terminate above the water in the sump so that if there is a clog you will hear it. Yours is a weird setup, usually each overflow box for the Herbie or Bean Animal Method has atleast two holes per box. So these are estimates that need to be dialed in with a little patience but should silence your problem. Thats how you typically set up a Herbie, and once its dialed in its a dream to work with. You want the smaller run line to be the full siphon so that its easier to purge air from the line after water changes. You DEFINETLY want to use an emergency, just in case anything were to clog the line. This system was designed for reef keepers, so they usually use bigger lines than we use in fresh in case any snails clog their pipes or urchins get into boxes and stuff like that, just for examples sake and a little background. Any other questions you have let me know Ill keep checking on here. I wish I had my dream tank running to show you what I was talking about, but this is a great system and should fix your problem once you have it dialed in. DANG !! I AM SO SORRY !!!!!!!!!!! I completely gave the wrong answer about my OWN tank !!! I have FOUR holes. Two in each overflow tower. A drain and a return in each. You typed up a pretty cool system and I completely had my head up my backside when I answered. I feel like an idiot. SO, that being said, I have FOUR holes. Two in each tower. Hey, no problem pal. It seemed strange to me that they would only have one hole in each tower, but I've seen some strange things in this hobby so it definitely wouldn't surprise me lol. Anyway, so the same concept applies but now its easier for you to work with. It would be a lot easier for me to explain it to you if I could SEE the stand and sump that the tank is working with. Because depending on the layout of the sump and, the flow of the water, one way may be easier than the other. The idea is to minimize the amount of run for the siphon drain, and the emergency drain shouldn't be below the water line. Those TWO things are the most important in the Herbie method, which is what you'll be working with because you only have two holes in each box, not three. So again, the siphon pipe is half the length of the emergency drain. The water draining to the sump is taken care of by one overflow box. The other overflow box is where you are going to plumb one or two return lines. There are a few things you can do with the "return" overflow box. You can close one of the holes off, and run the full return up through one line. You can keep them both open, tee your line off and run two return lines up. You COULD tee the return line off underneath the tank, then tee them back together in the overflow box.. Waste of plumbing parts and restricts your return pumps flow, but you could do it if you wanted to. 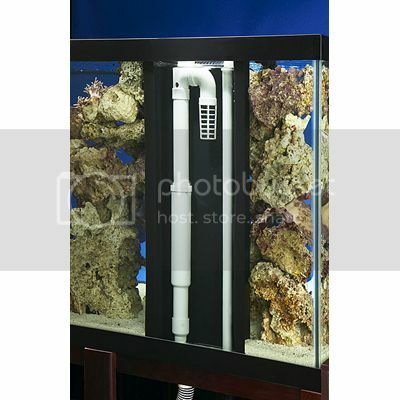 You're going to want powerheads in your tank, near the bottom to create a good amount of current across the sand to blow all the waste and other detritus upward and toward your overflow boxes. 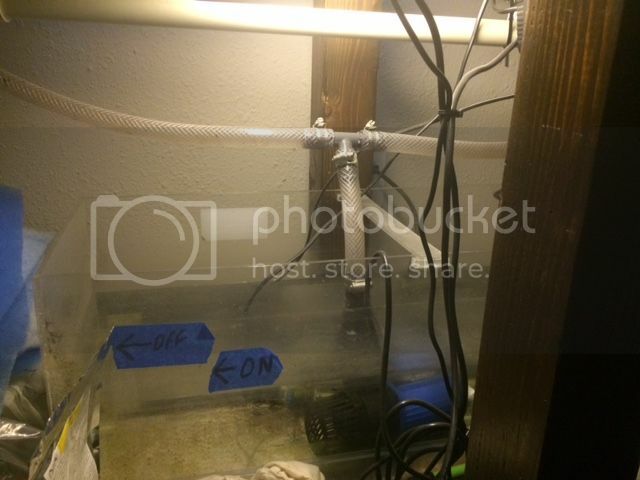 Plus, you can run a smaller return pump and the Trophs love the extra current. The way I had my sump built when I built it, it looked like this. 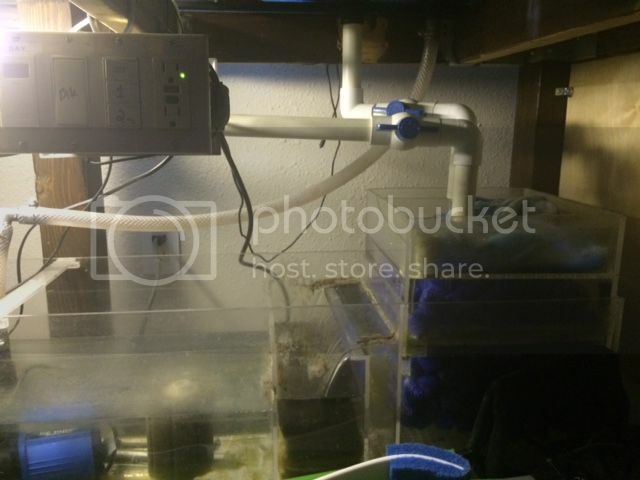 The water came in through the one chamber, flowed through a moving bed filter, and to the return pump which came up and over the opposite side of my tank. 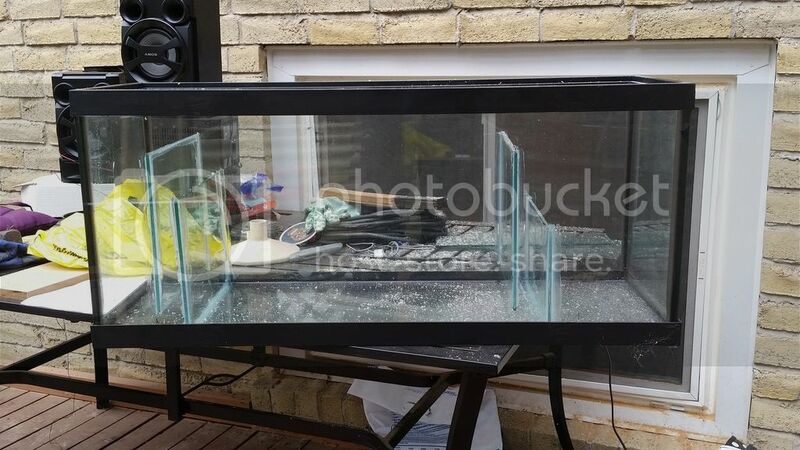 Unfortunately I didn't have the two overflow boxes you had, I had to drill my tank and build my own, and custom plumb it which was much harder. You will appreciate the upright towers once you are starting to get your siphon going. MUCH easier to purge the air from the line, and MUCH easier to dial in if you have measured and sealed everything correctly. I'm going to TRY to upload photos. Please don't judge the tank,,,, I was on a bad vacation for a week. It needs a serious cleaning. Anyways. I have FOUR holes. I currently have it plumbed with two Durso standpipes and two returns. One in each overflow tower. Main drain in one tower,,,,, emergency drain in the other tower,,,, and split the return lines. One in each tower ?